These books have been donated for the College of Medicine Dean's Bookshelf located in the MSL@Bryan campus HPEB Library. Stop by to browse, read and return a book or click the book link to request a Library copy. Most titles are also available from your local public library. Gawande, a practicing surgeon, addresses his profession's ultimate limitation, arguing that quality of life is the desired goal for patients and families of the terminally ill. Built on her wildly popular Modern Love column, 'When a Couch is More Than a Couch' (9/23/2016), a breathtaking memoir of living meaningfully with 'death in the room' by the 38 year old great-great-great granddaughter of Ralph Waldo Emerson, mother to two young boys, wife of 16 years, after her terminal cancer diagnosis. Chrysanthemum is a funny and honest school story about teasing, self-esteem, and acceptance. This popular picture book has sold more than a million copies and was named a Notable Book for Children by the American Library Association. This article discusses the health care system in McAllen, Texas where health care spending in the U.S. is the second highest in the country. Gawande A. THE COST CONUNDRUM. New Yorker [serial online]. June 2009;85(16):36-44. Available from: Academic Search Ultimate, Ipswich, MA. Accessed July 20, 2018. Based on twelve years of research, thought leader Dr. Brené Brown argues that vulnerability is not weakness, but rather our clearest path to courage, engagement and meaningful connection. Burke Harris’s research shows how deeply our bodies can be imprinted by ACEs—adverse childhood experiences like abuse, neglect, parental addiction, mental illness, and divorce. Childhood adversity changes our biological systems, and lasts a lifetime. Bookshelf copy donated by: Carrie L. Byington, MD, recommended by Arjun Rao. This groundbreaking inspirational guide--a classic in the self-help genre--shows you how to put challenges in perspective, reduce stress and anxiety through small daily changes, and find the path to achieving your goals. In 1914, an expedition headed by Sir Ernest Shackleton set out to be the first to cross the continent of Antarctica. Shipwrecked and marooned for months on end, their ill-fated voyage became a triumphant story of indomitable courage and faith in the face of astounding obstacles. Escape Fire: Designs for the Future of Health Care by Berwick, Donald M.
Spanning a decade (1992-2002), these speeches echo the theme that our health care system needs fundamental change and a revolutionary new design. The book link is to the e-book from NetLibrary. This work presents an unflinching look inside the detective story that marks nearly every illness - the diagnosis - revealing the combination of uncertainty and intrigue that doctors face when confronting patients who are sick or dying. A series of lectures delivered at Yale University on the Silliman Foundation in April, 1913. The book link is to the e-book from Project Gutenberg. A fascinating history of the gene and "a magisterial account of how human minds have laboriously, ingeniously picked apart what makes us tick". The book link may be used to "Get It For Me"
A motivational and inspiring guide to wholehearted living, Brené Brown, Ph.D., bolsters the self-esteem and personal development process through her characteristic heartfelt, honest storytelling. Psychologist Angela Duckworth shows parents, students, educators, athletes, and business people both seasoned and new that the secret to outstanding achievement is not talent but a special blend of passion and persistence she calls grit. 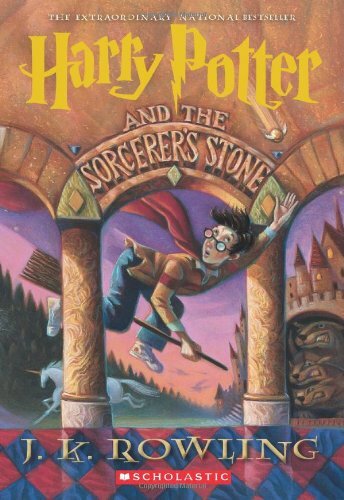 In his fifth year at Hogwart's, Harry faces challenges at every turn, from the dark threat of He-Who-Must-Not-Be-Named and the unreliability of the government of the magical world to the rise of Ron Weasley as the keeper of the Gryffindor Quidditch Team. Harry Potter's sixth year at Hogwarts School of Witchcraft and Wizardry as Lord Voldemort becomes ever more powerful with his followers increasing day by day in this continuing battle between good and evil. Harry searches for the full and complex story of the boy who became Lord Voldemort, and thereby finds what may be his only vulnerability. It all comes down to this - a final faceoff between good and evil. With more than 125 recipes, The Homesick Texan offers a true taste of the Lone Star State. The bestselling landmark account of the first emergence of the Ebola virus. A physician discusses the thought patterns and actions that lead to misdiagnosis on the part of healthcare providers, and suggests methods that patients can use to help doctors assess conditions more accurately. How Healing Works: Get Well and Stay Well Using Your Hidden Power to Heal by Jonas, Wayne B.
Garza shares, in bilingual text and illustrations, her experiences growing up in a Hispanic community in Texas. In My Hands by Curley, Steven A.
Bookshelf copy donated by: Wade G. Birch, Ed.D. Surgical oncologist Dr. Steven Curley shares the empowering lessons he's learned over 25 years from his cancer patients' unique stories of struggle, perseverance, and triumph. Sheryl Sandberg -- Facebook COO and one of "Fortune" magazine's most powerful women in business -- looks at what women can do to help themselves, and make the small changes in their life that can effect change on a more universal scale. A renowned expert in palliative care, Dr. Pantilat delivers a compassionate and sensitive guide to living well with serious illness. He offers advice on how to tackle the most difficult treatment decisions and discussions and shows readers how to choose treatments that help more than they hurt, stay consistent with their values and personal goals, and live as well as possible for as long as possible. Extending beyond the usual limitations of biological science and into a vast and wondrous world of hidden relationships, this provocative book explores in personal, poetic essays to topics such as computers, germs, language, music, death, insects, and medicine. People with a fixed mindset--those who believe that abilities are fixed--are less likely to flourish than those with a growth mindset--those who believe that abilities can be developed. The book link is to the e-book from Ebsco. It's 1944 when the twin sisters arrive at Auschwitz with their mother and grandfather. In their benighted new world, Pearl and Stasha Zagorski take refuge in their identical natures, comforting themselves with the private language and shared games of their childhood. As part of the experimental population of twins known as Mengele's Zoo, the girls experience privileges and horrors unknown to others. The true story of a gifted man who loves the world and has set out to do all he can to cure it. In medical school, Paul Farmer found his life's calling: to cure infectious diseases and to bring the lifesaving tools of modern medicine to those who need them most. A story of medicine in the heartland and confronting one's deepest prejudices and fears. Nestled in the Smoky Mountains of Tennessee, Johnson City had seemed exempt from anxieties of modern American life, but when the local hospital treated its first AIDS patient, a crisis that had seemed an "urban problem" arrived in town to stay. Natural Obsessions explores the advanced reaches of molecular biology, the nature of the human cell, and the genes that control cancer. It unforgettably portrays some of the best young scientists in the world, the rewards and discouragements of scientific research, and the very process of scientific inquiry. Acclaimed pediatrician, journalist, and novelist Perri Klass offers a provocative look at the ups and downs of medical school from those first exams to the day she became a doctor. It is the humanity in medicine that has inspired the pens of countless writers, and that has now been captured in this remarkable anthology of medical literature. Osler: Inspirations from a Great Physician by Bryan, Charles S.
Sir William Osler (1849-1919), one of the world's most influential physicians at the turn of the twentieth century, remained popular after his death largely due to his inspirational texts. Charles Bryan has successfully framed the great physician's message in contemporary, easily accessible terms, allowing modern readers to rediscover the appeal and pragmatism of Osler's writings. In 1962, Maurice Wilkins, Francis Crick, and James Watson received the Nobel Prize, but it was Rosalind Franklin's data and photographs of DNA that led to their discovery. Brenda Maddox tells a story of a remarkably single-minded young woman who, at the age of fifteen, decided she was going to be a scientist, but who was airbrushed out of the greatest scientific discovery of the twentieth century. Explores the clash between a small county hospital in California and a refugee family from Laos over the care of Lia Lee, a Hmong child diagnosed with severe epilepsy. Lia's parents and her doctors both wanted what was best for Lia, but the lack of understanding between them led to tragedy. Thirst, a collection of forty-three new poems from Pulitzer Prize winner Mary Oliver, introduces two new directions in the poet's work. Grappling with grief at the death of her beloved partner of over forty years, she strives to experience sorrow as a path to spiritual progress, grief as part of loving and not its end. And within these pages she chronicles for the first time her discovery of faith. It wasn't supposed to be this hard. If America could send a man to the moon, shouldn't the best surgeons in the world be able to build an artificial heart? Ticker takes us on an unforgettable journey into the power and mystery of the human heart. A profoundly moving, exquisitely observed memoir by a young neurosurgeon faced with a terminal cancer diagnosis who attempts to answer the question What makes a life worth living?